When I first set out to make up these winter kits, I had absolutely no idea how it would all come together. Knowing it was ‘the right thing to do’ I set about contacting people and sharing our dream to give these orphans and vulnerable children basic essentials to help see them through their bitterly cold winter. The children we are helping endure temperatures as low as -35 degrees, with no central heating and no warm coats – we are looking to reduce unnecessary fatalities and show some kindness to these LOVELY little ones. Since January, schools across the country have keenly supported us by donating warm winter coats and other warm items. We have also received monetary donations to help us with purchasing gloves and hats at a reduced price. I couldn’t have imagined this whole thing coming together so beautifully. Loving Hands (Knitting for charity) group have generously agreed to help us in our plight to keep these children warm, by knitting (and making) blankets and scarves, as well as donating other items essential for the winter. If you would like to help them by knitting/sewing for charity, please click on the above link. 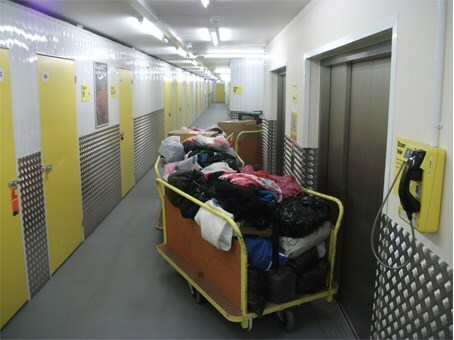 Big Yellow Self Storage company have given us an amazing discount to help us store everything until we are ready to send it after the summer. Our local sixth form at Chilwell Comprehensive, Lakeview College, have kindly made it possible to package the kits. Together with their student body we will be spending a week before the end of term, sorting, packaging and labelling these kits, before taking them out to Serbia, Hungary and Moldova to some of the most desperately needy children. Thank you to all the individuals, schools and businesses for helping us to turn our dream into a reality. We are calling this initiative Keep a Child Warm and from the amazing response we have seen this year it will most likely become an annual initiative, impacting the lives of many more children in great need!